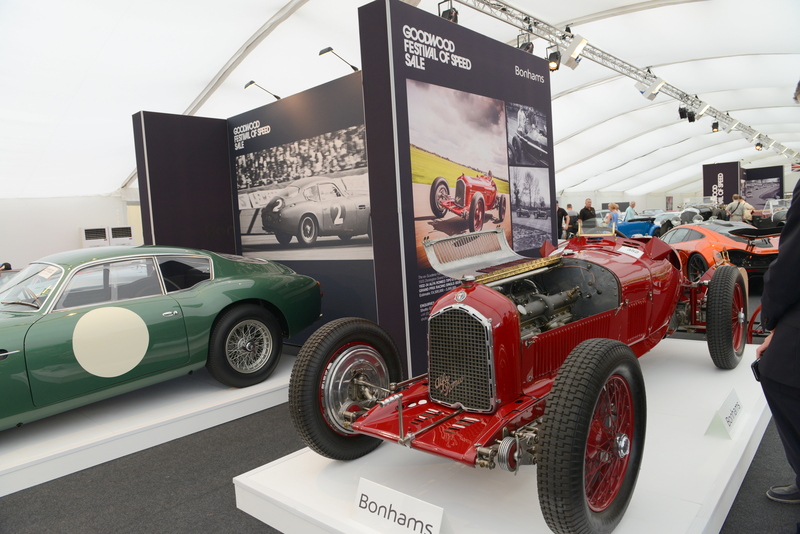 Bonhams presented a fine selection of Important Collectors Motor Cars and Automobilia at their recent Goodwood Festival of Speed Auction. 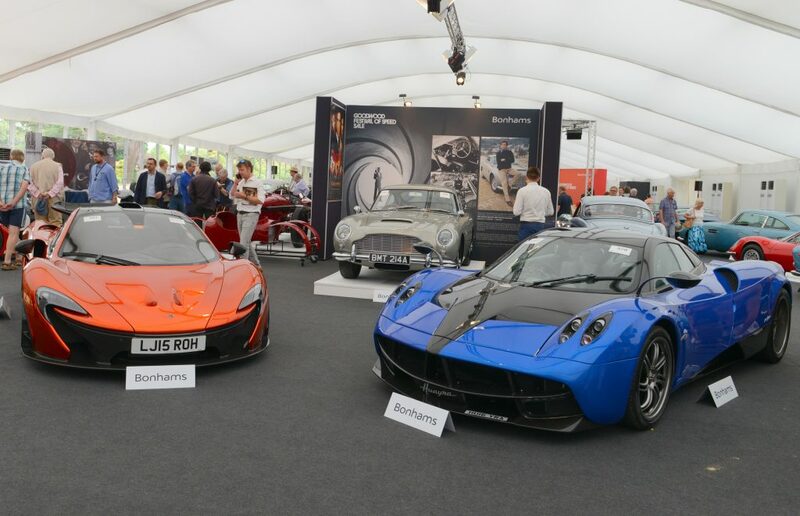 From the modern McLaren P1 supercar to the historical Alfa Romeo Tipo B.
Aston Martin, McLaren P1, Pagani Huayra, Bonhams Auction #FOS photo by Xavier White for Join The World Magazine. Lot 370 was the ex-Eon Productions 1965 Aston Martin DB5 Sports Saloon. Featured in the Motion Picture ‘GoldenEye’ and driven by Pierce Brosnan as James Bond. The most valuable piece of Bond memorabilia ever to be sold. Pierce Brosnan was filmed driving this particular car in the opening scene of ‘GoldenEye’, during a high speed dice, through the hills above Monaco. This exciting car with its incredible history sold for £1,961,500.00. 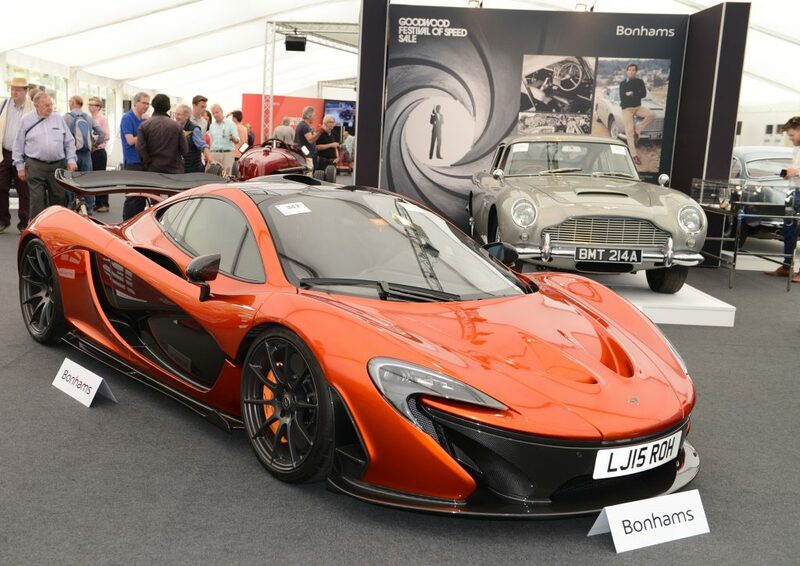 McLaren P1 Coupe Bonhams Auction Goodwood Festival of Speed by Xavier White for Join The World. 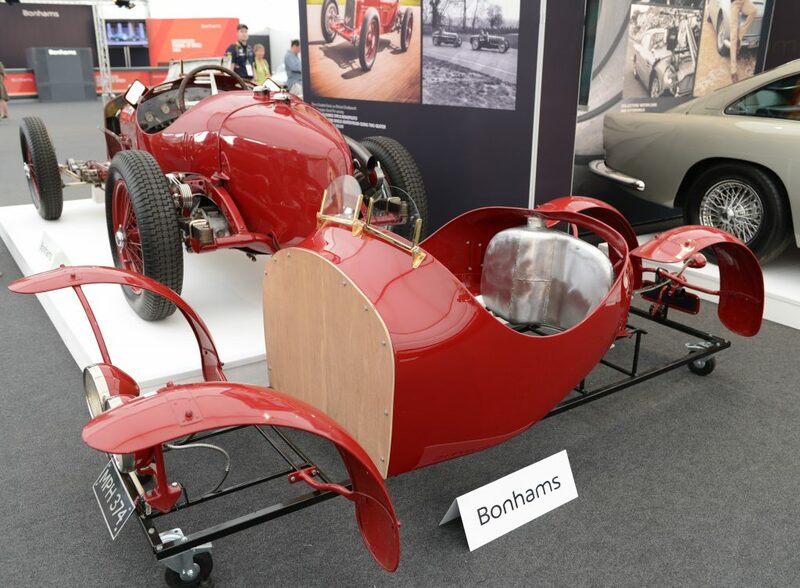 Alfa Romeo Tipo B Grand Prix Racer, Bonhams Auction. Alfa Romeo Tipo B Grand Prix Racer at Bonhams Auction, Goodwood FOS. Lot 352, the 1932 – 34 Alfa Romeo Tipo B Monoposto Grand Prix Racing Single-Seater or Road-Going two seater. This is one of the most important designs in Grand Prix racing history. Richard Shuttleworth purchased this particular Alfa Romeo Tipo B Monoposto for the 1935 racing season, from the Scuderia Ferrari quasi-works team at Moderna, Italy. It was converted in the 1940s to a two seater road car. Sold at auction for £4,593,500.00. Lot 304, one of the first few lots to be offered for sale, was this 1981 DeLorean DMC12 Coupe. Being one of only 9,200 built, of which approximately 6,500 survive today. This instantly recognisable and highly collectible rarity came complete with a recent MOT certificate and was described by the vendor as being in good condition throughout. 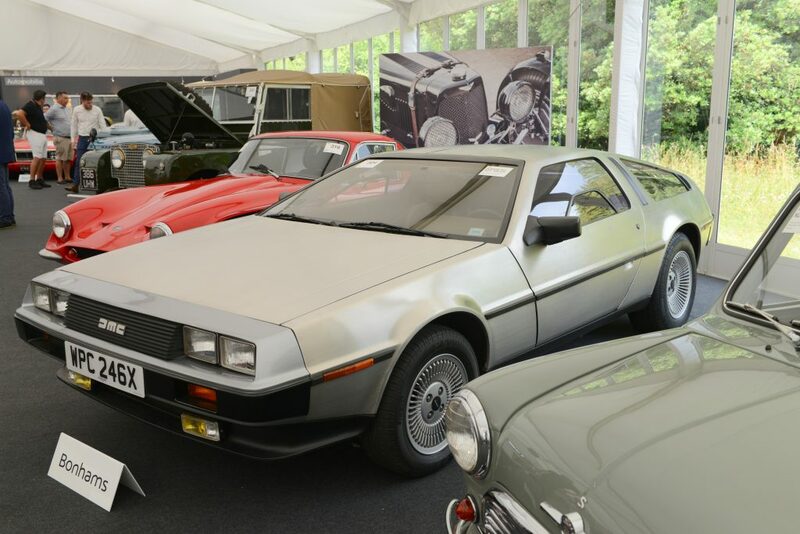 Offered for sale with no reserve, this DeLorean fetched £28,750.00 at the auction. Having been luck enough to own a DeLorean for a short period of time, I can say from experience, they cause quite a stir at the petrol station, especially when you open the doors.